This uh-DORABLE Sweet Summer Watermelon Tank top is perfect for those hot summer days! Made on soft Next Level Racer Back tanks, these run true to size. 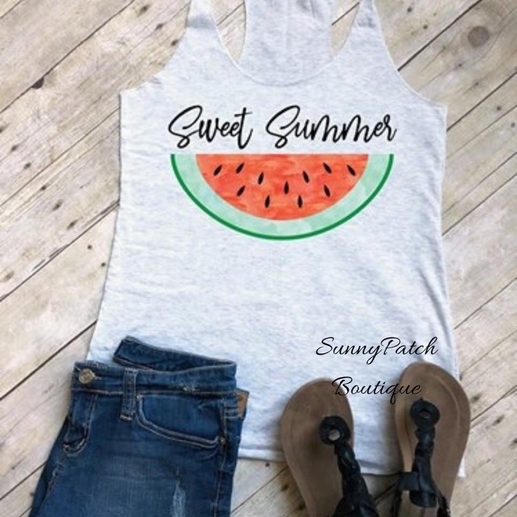 When you purchase this graphic tank, you're supporting a local USA made company and small shop all at the same time. Made of 50% polyester/25% cotton/25% rayon; machine wash cold, inside-out and tumble dry low.